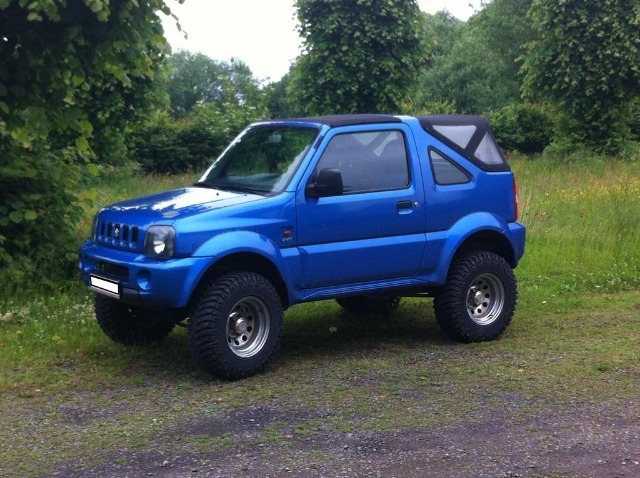 I found a beautiful jimny and i wonder, how much lift does it have and what its tyre size. What do you believe? Replied by Riccy on topic How much lift do you think? Im guessing 2" suspension, 2" body and 235/75r15 tyres. Replied by Daniel30 on topic How much lift do you think? Replied by StergiosJimny on topic How much lift do you think? You are right Daniel maybe it has 16 inch wheels. But i believe as Riccy said it has a 4 inch total lift. It seems to have plenty of room to fit these tyres. I like the stock bumpers without any serious cutting. Replied by Hanslow on topic How much lift do you think? Last edit: 17 Apr 2019 18:01 by Hanslow.